When you need water heater repair, you need John’s Plumbing & Pumps, Inc. As a family-owned business that’s been in operation for over 60 years, we’ve done more than just hire certified and technically proficient plumbers to work on your hot water heater. We’ve passed down knowledge from generation to generation, ensuring that no matter what problems you may be having with your hot water heater, we can diagnose and fix it for you. No matter when or what kind of water heater problem you are facing, we’re ready for it 24/7. 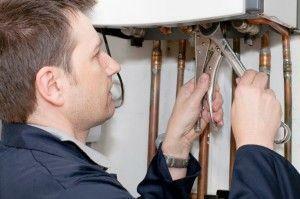 Our qualified technicians have the skills to fix the issue quickly and efficiently. 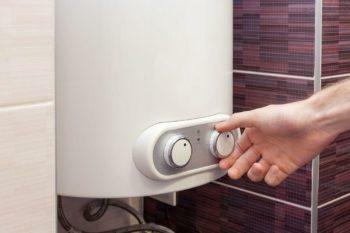 We perform both gas water heater repair and electric water heater repair on all makes and models. No matter what’s wrong, we have you covered whenever you need hot water repair – that means 24/7 emergency repair as well as scheduled services. We have a staff composed of only the most competent and friendly technicians. In addition to friendly service, continuing educational requirements mean that no matter when you bought your water heater, we’ll be able to repair it. Educational requirements keep our technicians on the cutting edge of technology and repair practices. This allows us to perform work at a higher level, and that always translates to better service for the customer. Our combination of knowledge, experience, and flexible scheduling means you get high-quality services when you need them. No waiting around for a service date that works for your schedule, and no second-guessing workmanship. Our plumbers ask the right questions at the right time to ensure that you’re getting efficient services from a company you can confidently call on for future plumbing projects. Before starting repairs or replacement, we discuss our findings and make sure that you’re comfortable with our recommended course of action. We do our best to draw a clear picture of the project for you, detailing services such as estimates, scope of repairs, and how long the service will take. And we never make you feel rushed. Feel free to ask us questions about our equipment and processes. We’re happy to keep you informed on the work we do on your property.